Great job! Way to keep going with the challenge and way to think outside the box. It really is all about your perspective. Look at you go. Every mile counts! 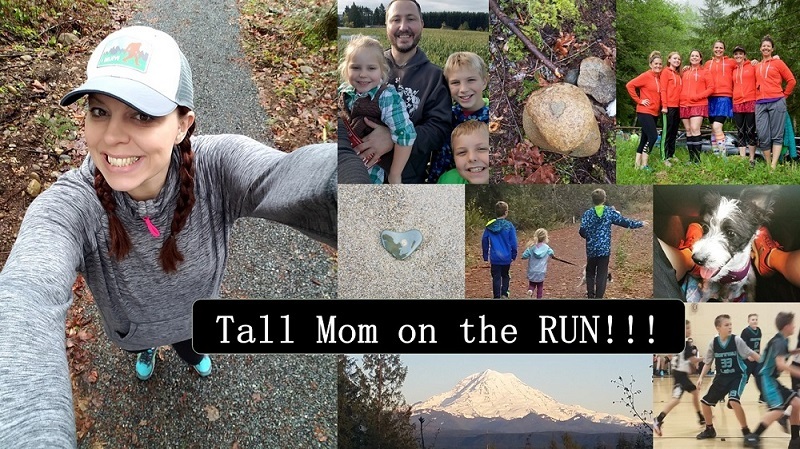 2 thoughts on this ~ I had a reality check on Nov 12th of this year (related to running). It changed my perspective on marathons. The 2nd thought leads to another blog. Have you read The Bloggess post on "Picking your battles"? one of the lines is "Perspective, now you have it." Great job!! I was wondering if you were able to sqeeze in your mile. And I find as a mom/employee/commuter/wife, etc....I can neither compare myself to others, nor the person I was yesterday. I'm at a point in my life where I really have to take it one day at a time and manage as well as possible for TODAY. Congrats on that streak. Somedays 1 mile is quite a distance but the real challenge is simply taking that first step. I'm glad for you you choose to! My point of view on nearly every thing has changed through out the years. I'd like to think that fact proves I'm still learning. I find changing perspectives difficult for me. I still fight to get college speed when I get on a rowing machine. Thing I realize now is that I was an insanely strong beast in college. Setting realistic goals and switching them often has helped me adapt to running. Sometimes my goal is time based, or speed based or mileage based. More importantly balanced based. If I start to hate a sport, I step away for a while. Good job keeping up with the streak. Oh my gosh, my perspective has changed so much! I used to be so angry, everyone annoyed me, and everything that happened was some universal smack in the face to me. Now, I realize that stuff happens and often there is nothing a can do about it. Getting upset and angry will only hurt me. It won't reverse the situation or solve it quicker. Therefore, no point in getting pissed. I think I like the quote about the grass may be greener on the other side, but I still have to mow it. My perspective on running I only battle myself so I only see one perspective. My own. I guess the perspective of I am so grateful I can run, I take into account. No one else can do the running for me. Now as far as perspective on life I ran into a realization. Perspective is necessary. It feeds us wisdom, knowledge, and soothes our feelings. Ok, not ours, mine. Can't speak for you, and everybody. However, when you are going through what you think is a bad day, or year, looking at the "well at least I am not like that person" or "at least my four year old can run and walk", is ok for awhile. But I think saying "this hard and I feel terrible about it" is also necessary. I give my son 2 shots per week. Last week it went bad. I hurt him and he cried hard. I was broken hearted. The perspective of well at least he is ok. He's fine. He's not whatever. But I could still drop a tear if I play it again in my head. My child has a disease, yours has a cold. Your baby still doesn't feel well, and still has to go through it. My suffering doesnt always take away from someone elses. Sorry to ramble. Nothing is healthy in large amounts, including perspective. Once in awhile, sure, but don't forget to validate you. Love this post! Glad you are keeping up with your challenge. My perspective changed this past summer when I had an injury which literally limited my running for a month and more importantly initially made me wonder about ability to walk. Then my dad was diagnosed with B-cell lymphoma and went through chemo and radiation. Running was no longer something to "gripe or B#T#H about". I got back on the horse and finished training for Chicago with no gripes/no whines/and utter happiness. Sad that it took my dad getting cancer and injuring myself to realize how lucky I am to be able to train for a marathon, but it did change me. I think my perspective is always changing based on my day to day experiences. It keeps me sane and balanced, especially this time of year. Great post. Thanks for sharing, as always! I have a heart condition and pass out when my heart stops. In our house we call that "dying on a regular basis." Because as long as you wake up again, it is really not that big a deal. And if you don't wake up, its not that big a deal either. To you. Perspective is the most important thing in the universe. Loved this post. Love this. Sometimes you just have to get back to basics!!! I try to remember to celebrate where I am even if a run doesn't go so well or has to be cut short. love it. i had a similar convo with my husband last night. i've been running about 5 days a week and "only" going 3-4 miles. there was a time i would consider that being a failure and wimpy. now i LOVE running and 3-4 miles makes me perfectly happy. perspective is good :) congrats on that mile, lady!